After hubby and I decided we were going to get a brand spankin’ new home, instead of a pre-owned home, it didn’t take us very long to narrow down which new home communities we were interested in. Since we had decided to go down this new-home route, we had to re-evaluate our list of wants and needs. Obviously, most of our basic criteria was already going to be met simply by purchasing a newer home (open layout, 2+ bedrooms, 2+ bathrooms, backyard, and garage), so one of the only essential criteria left on our list was for the home to be within biking distance from downtown — preferably around five miles away, but definitely no more than 10 miles. We had also been so spoiled by having a train station stop only half a mile walking distance from the apartments we were renting at when we moved to Denver, that having close access to the train became a huge priority when we started really looking into homes. Commuting by train was a huge convenience for getting to work on days we didn’t feel like biking or days when it was snowing or raining. Our main mode of transportation had been bike commuting (and still is after a year living in Denver) because it’s free and an easy way to sneak in some exercise during the day. Okay, I lied. 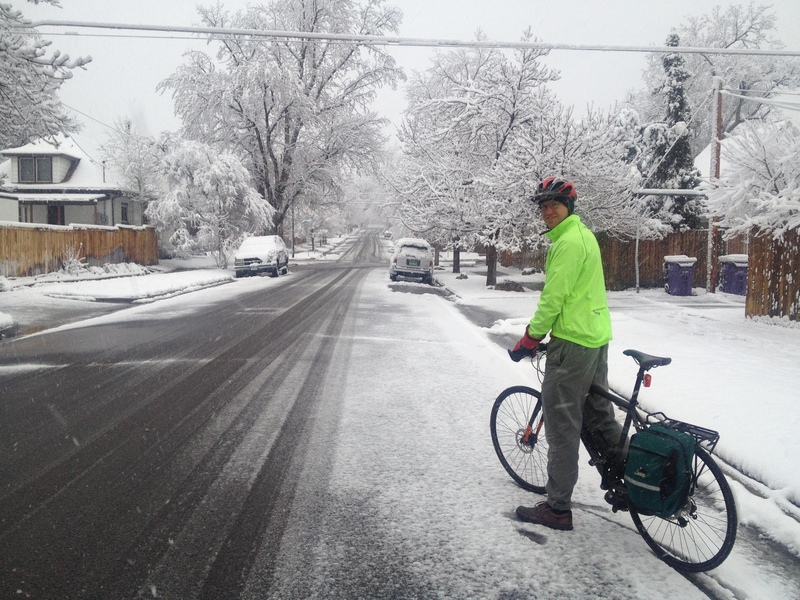 We bike commute, even in the snow! 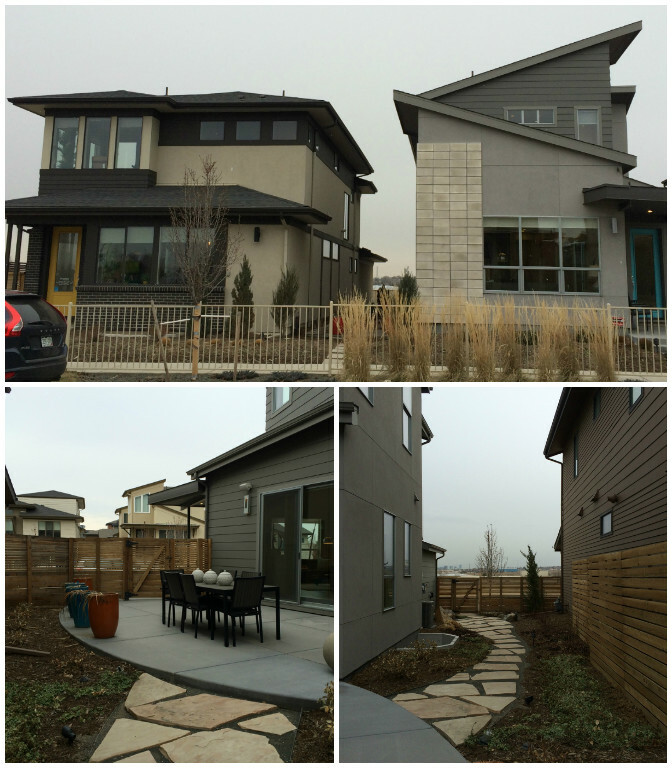 One thing we learned about Denver while house hunting is that it is big on “urban infill”. Urban infill is the re-dedication of open space in urban areas for new construction. “Land-recycling” is a similar, broader term referring to the redevelopment of obsolete or underutilized buildings and sites. In other words, they will build new homes in urban areas wherever the heck they can! Some urban infill can mean just a small block of homes or retail, and other urban infill can be as big as an entire sub-community. This was great news for young couples like Pie and me, who wanted to be close to downtown Denver without having to move into an older home that needed remodeling or a newer home close to downtown that cost an arm and a leg. However, there are quite a few disadvantages to urban infill. It can bring more congestion and traffic to an already over-crowded urban space and it can take over areas that might be better dedicated to urban green-space. And as I mentioned earlier, since developers will often build wherever they can find an empty or unused nook of land, this means that a newer community could be surrounded by less ideal neighborhoods, such as older homes or areas of heavy commercial/industrial use. It is also often times very costly for developers to clean up an old space and remediate contaminated land that might have once been used for industrial purposes. We visited a handful of new home communities — some because of genuine interest, some to toy with the idea of living further out of town in a more peaceful neighborhood, and some just for fun — but only two were located within the distance from downtown that we preferred and in our price range. Because of this, it’s no surprise that these two communities were both urban infill communities. 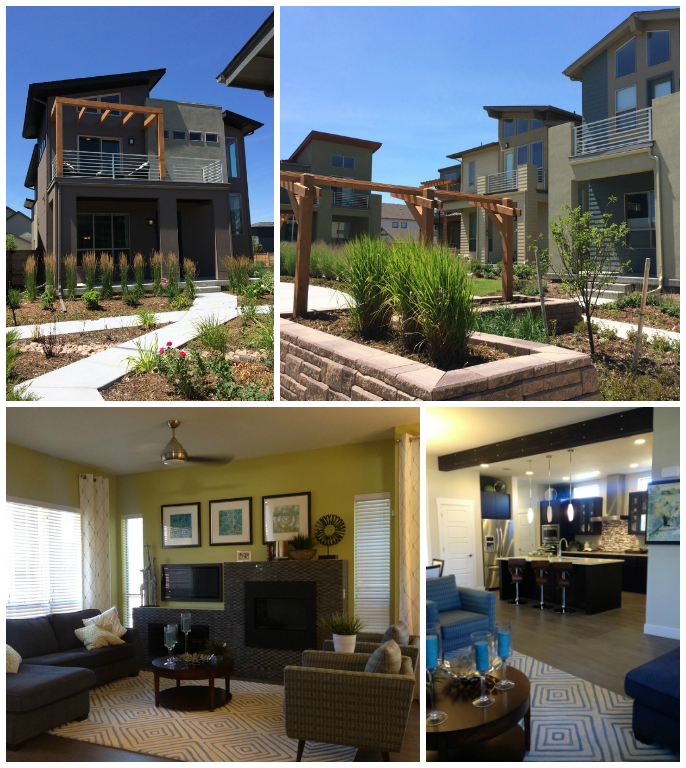 One of the home communities we were very interested in was called Midtown at Clear Creek. This community was located within six miles north of downtown Denver over a big open space that used to be an aircraft and aerospace parts manufacturing facility called Hamilton Sunstrand. The facility was closed down in 2004 and all the environmental contamination was remediated so it could be redeveloped into a large, master-planned community with about 1,300 homes. The Midtown development had just begun building homes about a year an half prior to us starting our house hunting adventure in January 2014. Aerial view of Midtown in 2014, courtesy of Sky Capture Studios. Midtown is a perfect example of urban infill. You can see that the land all around Midtown is already developed into various other uses such a residential housing to the right and industrial use to the left. Midtown had two home builders to choose from and both were in the price range we had in mind, but one we really liked more (Brookfield Residential) over the other because of the contemporary look of the outside of homes, the decent-sized backyards, the really unique, open layout options (all with ridiculous amounts of square footage) with lots of windows and natural lighting, and they came standard with high energy efficiency options like solar panels. Midtown was also great because it would have a new train station stop built less than one mile from the community in 2016 and had a secluded bike trail a very short distance down the road that led to downtown. This community was also where both of hubby’s cousins decided to purchase their new homes, so it had the added bonus of having relatives nearby that we could visit and depend on in a pinch. The outside of the Midtown models by Brookfield Residential. Contemporary look, spacious, and decent-sized yards on the side of the house. The inside of the Midtown models by Brookfield. We loved the huge, open layouts, the amount of space in the kitchen, and the amount of natural lighting from big windows and slider doors. We loved our first impression of Midtown, but some of the drawbacks were that the schools in the area did not seem very promising, the homes were almost too contemporary-looking, and the few lot options to choose from at the time were not very appealing to us. The biggest drawback was that Midtown was located in a very industrial area immediately surrounding the community. The online advertisements for Midtown were very misleading because they boasted of trendy shops and restaurants within five minutes of the community. We thought this meant that all this stuff was right around the corner within walking distance, but we had assumed wrong. There was absolutely no newer retail in the immediate area and what was nearby reminded me of the unappealing aspects of my hometown, El Paso, Texas — large, ugly factories, sketchy taquerias, carnicerias, and mercados, and tons of used car lots. There was even a street right up the road called El Paso. I think you get the picture. The trendy restaurants and shops that they pictured in advertisements were indeed real, but they were located in the trendy neighborhoods closer to downtown, about four miles away from the community. The developers of Midtown had a vision for it to one day be like these trendy neighborhoods near downtown, but in the meantime it was difficult to imagine it ever becoming something that nice. Stapleton was a very established new-home community located about eight miles northeast of downtown. Another perfect example of urban infill, it was built over the primary airport in Denver from 1929 to 1995 called Stapleton International Airport. Because Stapleton was built over an old airport, there has been plenty of space for it to grow and expand as its own community over the past 20 years. Aerial view of Stapelton, courtesy of Stapleton Foundation. Acres and acres of urban infill at its finest. Stapleton boasts a huge community of not just residential housing, but also new retail, restaurants, and tons of gorgeous open space for getting outdoor exercise. Stapleton was very appealing to us for several reasons. It had several builders to choose from, but there was one in particular (Wonderland Homes) that was in our price range that we had our eye on. These homes were really cool and modern-looking without looking too contemporary, and there were a couple of layouts options to choose from that had a balcony on the top floor off the master bedroom. Stapleton would also have a train station stop built within less than one mile of the community in 2016 and had great schools located within the community itself. 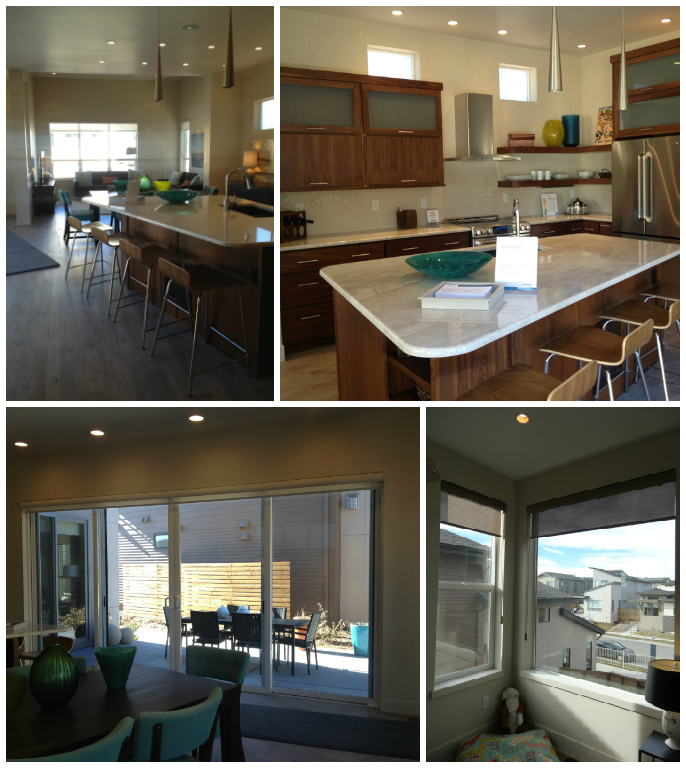 Our favorite feature of Stapleton was the amazing area it was located in. There was so much to do nearby within walking distance and that was, after all, part of our whole reason for moving to Denver — to live in an area with so much to do within walking distance. Not only were there tons of new shops and restaurants already built and ready to be enjoyed the moment we moved in, it also had other cool community features like a sledding hill, a recreation center with a pool, and tons of trails and dedicated open space for hiking. The Stapleton models by Wonderland Homes. It was impossible not to fall in love with how cool they looked on the outside, the fun balconies upstairs, and just the overall nice feel of the established community. On the other hand, one of the reasons we also moved to Denver was to be closer to family and we loved the bonus perk of having family right down the street from us if we moved to Midtown, and this would not be the case if we moved to Stapleton. Furthermore, we loved the layout options of Stapleton, but not nearly as much as Midtown; their homes could not beat the energy efficient perks that came standard with the Midtown homes; the backyards were tiny; and bicycling from Stapleton to downtown would be a little bit further than one of the straight routes from Midtown to downtown. We were torn. 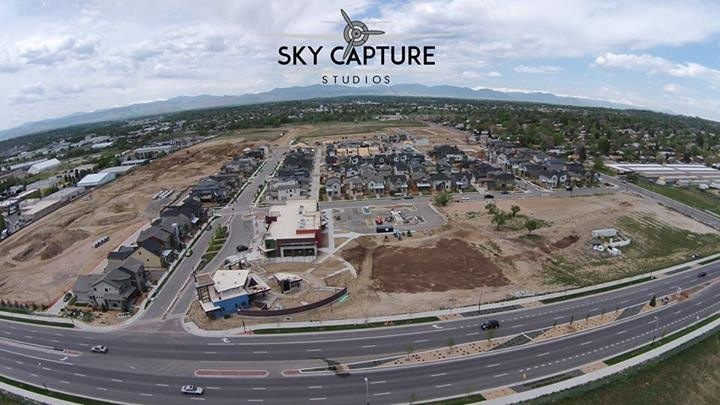 Midtown or Stapleton? There was no single factor that was a deal-breaker in our new home decision.